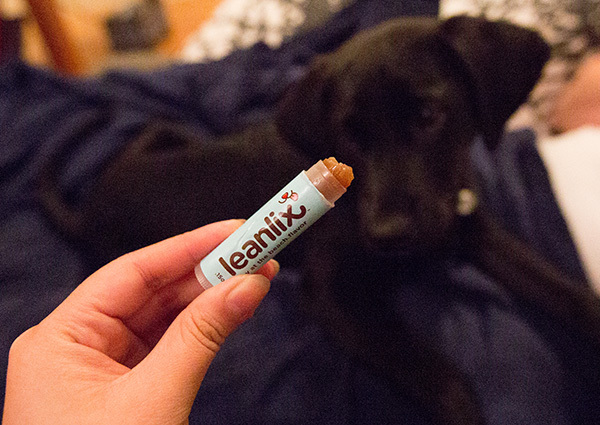 He adores these - and will sit pretty to lick them as long as you’ll let him. 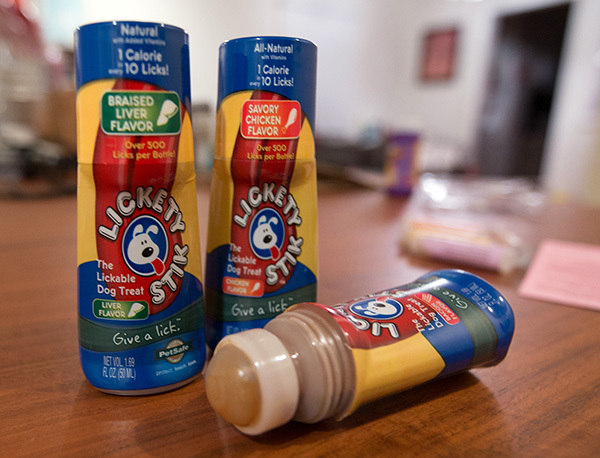 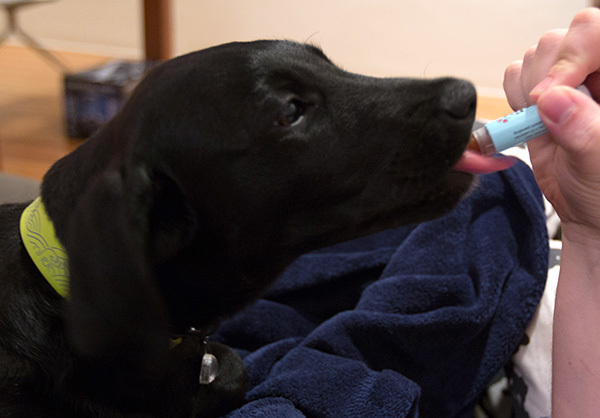 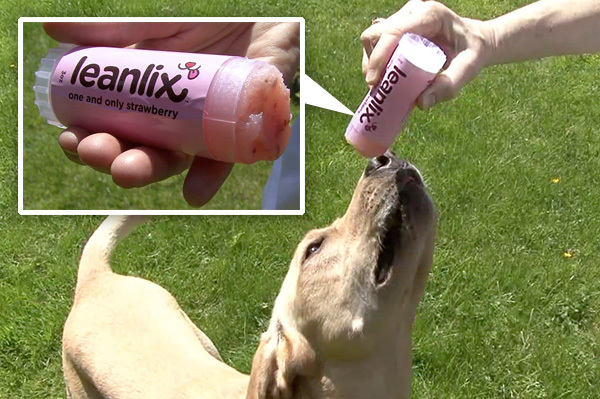 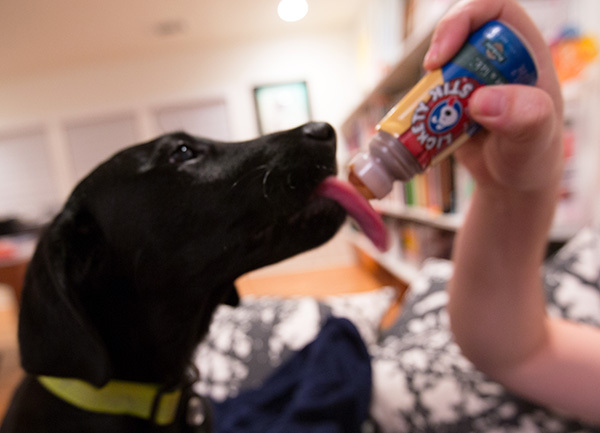 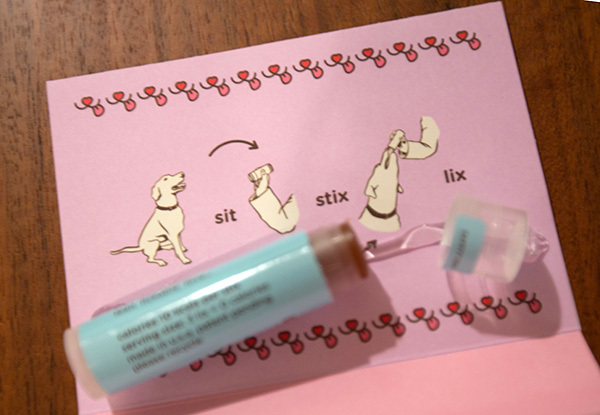 As you can see, he definitely tries to bite them quite a bit - granted, even as a pup, his tongue might be ready for the full sized Leanlix, this is an easier way to test the flavors… and i’m sure he’d try to bite the big ones too! 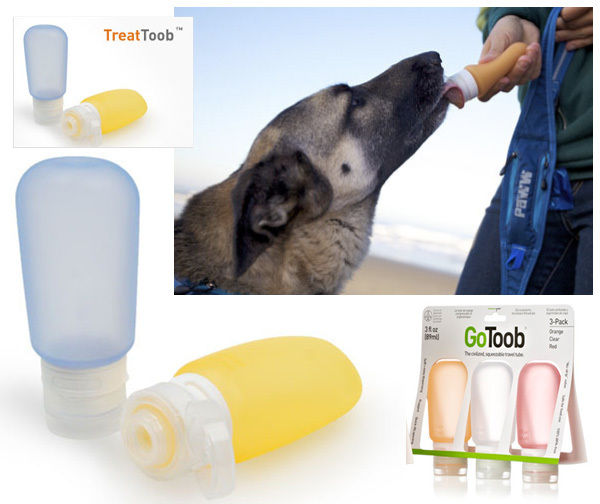 And while we’re looking at repurposed packaging creativity in the canine treat space… had to add the HumanGear GoToob (my favorite travel shampoo/etc container) that is rebranded as a Paww Treat Toob - for filling with peanut butter, liverwurst, purees, etc, where you can squeeze a little and let your dog lick it off - no mess! 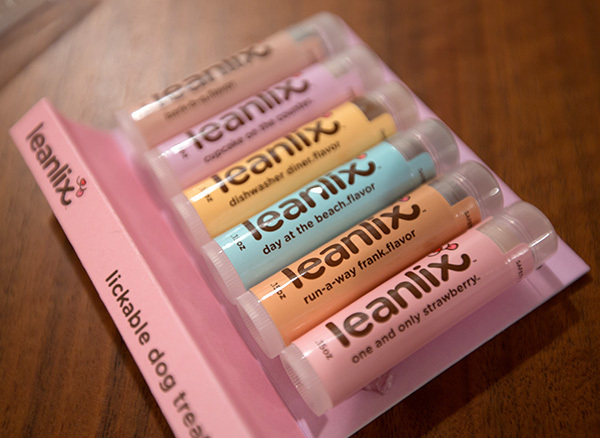 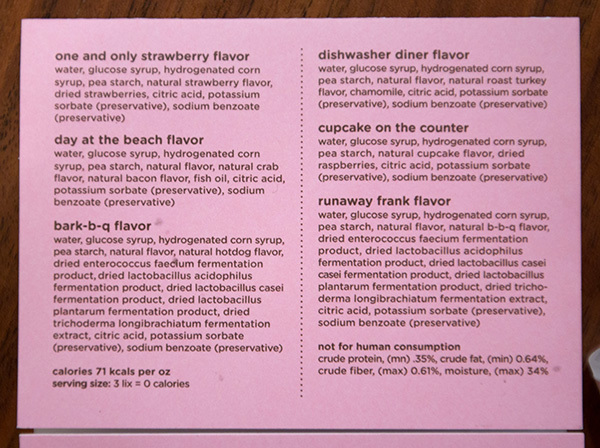 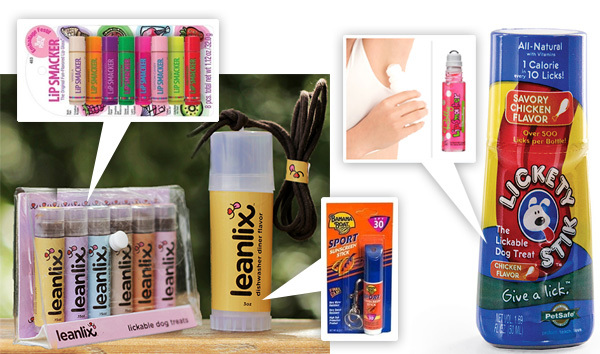 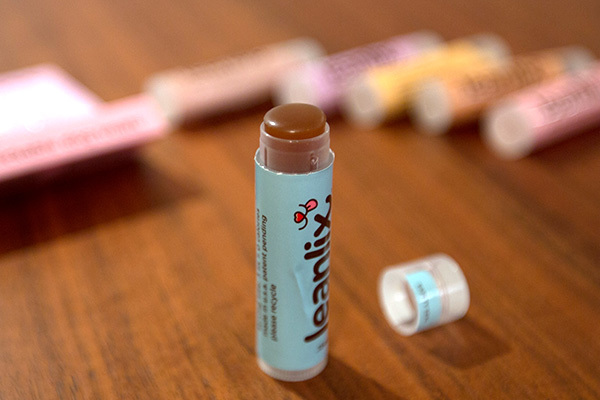 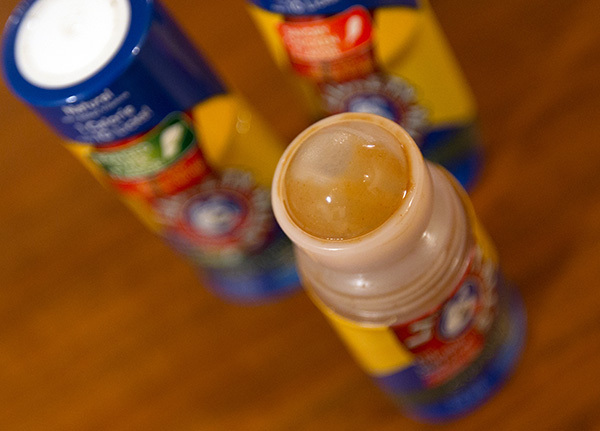 Out of the three you reviewed we have only tried Leanlix so far and they worked well for our crew. 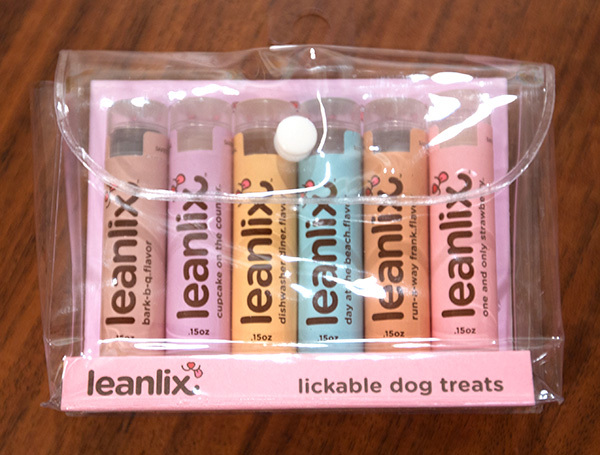 They are a huge help if you want to work on loose leash walking!